What Is The Meaning And Purpose of the Gospels from the Perspective of the Original First-Century Author? Is The Scriptures Myth? Or Are We Ignorant Of Their True Purpose? When we instruct elementary school students, we present the information in an age and grade-level appropriate manner. We would not even attempt to teach elementary school students physics, trigonometry, and calculus at an age level where they must first learn basic math. And that the consciousness of organic man is too immature to comprehend the higher reality of the Soul and the spiritual meaning of the scriptures, is why Paul warned that the account of Jesus and the crucifixion is "milk" designed for "babes in Christ" (see http://AnInconvenientTruth.org#animal ) -- wherein he warned that if he even attempted to convey the Higher Truth to the baptized and confirmed Christians who he personally taught and instructed, that they would reject the spiritual meaning of the Gospels as utter "foolishness". Why? Because the higher reality of the Soul is beyond the organic limitations of natural human comprehension. And the fact that not only the Church, but also modern scholars ignore this warning, is the cause of our self-imposed ignorance of our own higher Soul-Reality. In the words of the Church Father Origen we find his assertion that the scriptures take on a form which is appropriate to a certain group of people, so that it might begin the process of bring those people to a mental and spiritual level of maturity (see The Great Lie About The Scriptures http://BrotherOfJesus.org#TheGreatLie ). And this is explained by the Church Father Origen who writes that: “If a Greek wished by wholesome instruction to benefit people who understood only Egyptian or Syriac, the first thing that he would do would be to learn their language; and he would rather pass for a Barbarian among the Greeks, by speaking as the Egyptians or Syrians, in order to be useful to them, than always remain Greek, and be without the means of helping them. In the same way the divine nature, having the purpose of instructing not only those who are reputed to be learned in the literature of Greece, but also the rest of mankind, accommodated itself to the capacities of the simple multitudes whom it addressed. It seeks to win the attention of the more ignorant by the use of language which is familiar to them, so that they may easily be induced, after their first introduction, to strive after an acquaintance with the deeper truths which lie hidden in Scripture. For even the ordinary reader of Scripture may see that it contains many things which are too deep to be apprehended at first; but these are understood by such as devote themselves to a careful study of the divine word, and they become plain to them in proportion to the pains and zeal which they expend upon its investigation” (Origen Contra Celsum). Pythagoras, Giordano Bruno, Gurdjieff are among those who stated a truth that modern physicists have proven to be true, that the Laws and the Foundation of Creation were all composed in Mathematics and Numbers. That modern science has proven the wisdom and witness of the Mystic, is demonstrated and explored at The True Facts And Realities Of Life http://KnowThySelf.Nazirene.org#TrueFactAndRealitiesOfLife . And while the analogy of Plato's Cave has been confirmed by modern science (see Plato - The Physicist http://KnowThySelf.Nazirene.org#Plato ), the dilemma that confronts the modern physicists is the fact that they simply do not possess the necessary knowledge of the Cosmology of Mind to escape the Cave of Illusions of this world. Why? Because they lack the necessary understanding of the allegorical scriptures and their true purpose and objective. In the Epistle of Peter to James the warning is presented that if the esoteric body of knowledge that Jesus revealed to his disciples should become lost, that "...it will remain even for those who really seek the truth, always to wander in error". Why? Because embedded within the allegorical body of the scriptures is the body of esoteric knowledge that enables the seeker/disciple to develop the mind beyond organic human limitations, thereby enabling them to achieve the necessary Wholeness to escape the limitations of this shadow-world (see Wholeness of Mind & Being http://TreeOfLife.Nazirene.org#wholeness ). And to bring this Enlightened Condition of Mind and Being about, is why Jesus stated: "They that are whole have no need of the physician, but they that are sick: I came not to call the righteous, but sinners to repentance" (Mark 2:17). Which means that at the time that the man Jesus walked the earth there were those present who had achieved the necessary Wholeness that enabled them to perceptively-understand the higher Soul-Reality that organic man remained inherently blind to -- even to the degree that they were able to enter the Spiritual Source-Realm that we portray as the Kingdom. And as a physician, Jesus was not called to heal those who had achieved the necessary Wholeness -- but rather, those whose organic consciousness remained carnal and caused them to be prisoners of this world. In the subheading entitled The Original Spiritual Language Of The Gospels (see http://OriginalGospel.Ebionite.com#OriginalLanguage ), I demonstrate that the Original Gospels were written in Biblical Hebrew Characters -- and in this language without vowels, each letter is also a number. The authors of the Gospels composed in Living Biblical Hebrew understood that every level of Consciousness is associated with vibratory frequencies -- as is individual colors and notes within the pattern of an octave. 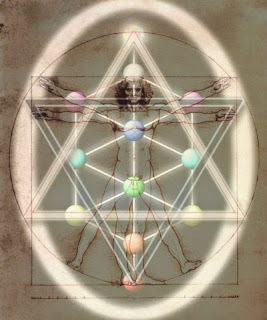 Each of them understood the Law of Octaves (see The Application Of The Law Of Octaves And The Trinity http://TreeOfLife.Nazirene.org#LawOfOctaves ), and its effect upon the movement of the Natural Laws of Creation and Consciousness. What this means is that every name that is used in the biblical text composed in the Hebrew Characters, not only has a meaning in what the names and places portray -- as well as how the name is used - but also has a numerical equivalent that when used and understood in conjunction with the other names of people, places or things, can portray an esoteric meaning that is not at all apparent to the readers who believe they are reading either a myth, folklore, or an historical account. When the scriptures are read from an historical perspective, the reader relates the names a historical people or places -- failing to understand that each name portrays a meaning that presents an aspect of mind and consciousness that is signified in the names and places in the allegorical text. What the Essenes portrayed as the Teacher of Righteousness was an alias for the Mind of God that the Greeks portrayed as the Logos, and the Ebionites portrayed as the Son of God which they called the True Prophet that Jesus commanded his disciples and followers to seek out (see The One Teacher http://BrotherOfJesus.org#TheOneTeacher ) as one's only teacher. The Essene Elders who understood all that such men as Pythagoras, Bruno and Gurdjieff understood with respect to the Natural Laws, concealed much of their sacred knowledge within the allegory of the Books of Enoch. And with the advent of the man Jesus who fulfilled the Laws within his own mind and being (see below: The Essene Foundation Of Judaism And Christianity http://OriginalGospel.Ebionite.com#EsseneFoundation ), this body of esoteric self-knowledge was transferred into the Original Gospels (see http://OriginalGospel.Ebionite.com ). The Essenes were portrayed as a people who perpetually studied the scriptures -- and they did this because they understood the embedded power of the symbols and catalysts that possess the power to transform, expand and deepen the organic consciousness of man beyond organic human limitations. Which can only be accomplished through the interaction of the Linear/male and Intuitive/female Spheres of Mind (see The Trinity - Divine Pattern - Linear vs Intuitive Development Of The Mind http://TreeOfLife.Nazirene.org/#Trinity ). In order to create scriptures that was appropriate for the common people who had never begun the process of mental transformation, the authors of the scriptures re-engineered the common beliefs of the people -- many of which beliefs can rightly be portrayed as being founded upon myth or folklore. But, the final product of re-engineered myths and folklore contained a series of symbols and catalysts that connected their normal organic human consciousness with a higher level of consciousness that exists within all of mankind, and ultimately an Inner Source of Knowledge and Truth that exceeds all the cumulative knowledge of mankind throughout all the ages that mankind has walked the face of the earth. Thus, we have the paradoxical foundational paradigms: Is the mind of an infant empty and in need of being taught the wisdom of man? Or does the infant possess an inner Source of Knowledge that is Superior to the wisdom of this world? The infant empty-mind foundational paradigm is the Old Covenant -- and the infant full foundational paradigm is the New Covenant. Thus, in the re-engineered versions of scripture, what we are presented with is the basis of the infant-full mindset. While the people accepted and embraced the writings because on the surface they appeared to confirm and support their beliefs which their culture has previously embraced, the changes made in the re-engineering process opened the door to a depth of mind and spirit that is not at all understood by those who see only the surface of the text. And this reality is expressed in the Zohar, where it states: “The narratives of the doctrine are its cloak. The simple look only on the garment, that is upon the narrative of the doctrine; more they know not. The instructed, however, see not merely the cloak, but what the cloak covers”. The Jewish mystic who spends his life seeking the inner meaning of the written word that the natural mind of man is incapable of seeing, has warned: "Thus the tales related in the Torah are simply her outer garments, and woe to the man who regards that outer garb as the Torah itself, for such a man will be deprived of portion in the next world..." (the Zohar quoted in No Jew Has Read The Torah). What Peter is stating is that while the True Prophet exists at the core of all of mankind, (1) "...in those who have no desire of the knowledge of God and His righteousness, He is inoperative"; (2) "...But He is soon found by those who diligently seek Him through love of the truth"; (3) that the True Prophet "...deserts malevolent minds, because as a prophet He knows the thoughts of every one"; (4) that we cannot find the True Prophet on our own as stated that "...let no one think that he can find Him by his own wisdom, unless, as we have said, he empty his mind of all wickedness"; (5) and that to draw nearer and find the Indwelling True Prophet, the seeker must "...empty his mind of all wickedness, and conceive a pure and faithful desire to know Him. For when any one has so prepared himself, He Himself as a prophet, seeing a mind prepared for Him, of His own accord offers Himself to his knowledge”. When rightly understood, to find and learn from the Indwelling True Prophet, the seeker must become the "good ground" in the parable of the Sower and the Seed (see http://Messianic.Nazirene.org/sower_seed.html ). And in the parable of the Sower and the Seed, the same seed that is cast into the ground that is properly prepared and produces in levels of abundance ("For when any one has so prepared himself, He Himself as a prophet, seeing a mind prepared for Him, of His own accord offers Himself to his knowledge” ), is unable to germinate and produce when the ground in which it has been cast is not properly prepared ("...but He deserts malevolent minds ...in those who have no desire of the knowledge of God and His righteousness, He is inoperative"). One may ask: Isn't the scriptures composed in order to teach the person what they need to know? No! The scriptures are designed to develop the mind and bring about the necessary condition of Wholeness that enables the person to begin to be taught by the True Prophet. In further explanation of this Inner Source of Truth and Knowledge which the original followers of Jesus portrayed as the True Prophet, Peter cautions the seeker and states with respect to reading and studying the scriptures that "...therefore great care is to be taken, that when the law of God is read, it be not read according to the understanding of our own mind. For there are many sayings in the divine Scriptures which can be drawn to that sense which every one has preconceived for himself; and this ought not to be done. For you ought not to seek a foreign and extraneous sense, which you have brought from without". If we ask the question: What is being said to the believer who desires to be faithful to the Gospel Teachings? What we have in the foregoing is the confirmation of the New Covenant Principles that few modern believers understand the spiritual reality of. In the same way that the believer is commanded to seek out the One Teacher, and the commandment that "...when the law of God (scriptures) is read, it be not read according to the understanding of our own mind" -- it is being stated that there is only One Source of Truth -- and that the wisdom of man will misguide the seeker. By design, human reasoning is embryonic, and is incapable of understanding the true meaning of the scriptures -- i.e., "...therefore great care is to be taken, that when the law of God is read, it be not read according to the understanding of our own mind." Why? Because the literal text is allegorical and designed to bring about the mental-expansion and spiritual-deepening of the mind that evolves the person beyond organic human limitations. And Peter also states that neither should you listen to other men's gravely flawed interpretations of the scriptures -- i.e., "...For you ought not to seek a foreign and extraneous sense, which you have brought from without". Why? Jesus taught that there is only one Source of Truth, and the disciple/seeker must learn directly from that One Teacher. And thus, these words which are representative of the core Gospel teachings, are inconceivable to the modern faith-based believer who is divided and disenfranchised from the very essence and objectives of the Gospel teachings -- overwhelmed and anchored to a carnal mindset that is of the "outer darkness" (see http://OuterDarkness.Nazirene.org ) -- spiritually disenfranchised by innumerable manmade opinions, factions and sects which totally alienate the believer from the Truth and the Kingdom within. The Apostle Peter states that while the True Prophet is within the minds of all mankind, there are certain conditions that must be present in order to begin to learn from the Inner Source of Mind and Being -- i.e., "but in those who have no desire of the knowledge of God and His righteousness, He is inoperative". And this fact of human reality was expressed by the priest Giordano Bruno who was burnt as the stake by the Church when he stated: "The Divine Light is always in man, presenting itself to the senses and to the comprehension, but man rejects it". And while the True Prophet and the Source of Light and Truth exists within the mind of everyone of us, Peter warns that "...He is soon found by those who diligently seek Him through love of the truth". Which provokes the questions: What is the love of the Truth? If a supposed believer clings to the corrupted words of the Church (see The Corruption Of The Words Of God http://BrotherOfJesus.org#CorruptionOfGodsWords ), does this constitute a genuine "...love of the truth"? No, not at all -- which is why the modern Christian remains spiritually immature and disenfranchised. In making reference to The True Prophet who Jesus portrayed as the One Teacher within one's own mind that must be sought out, Peter warns that: "Hence, O beloved Clement, if you would know the things pertaining to God, you have to learn them from Him alone, because He alone knows the truth." Which provokes the question: What about the scriptures? Contrary to what many believe, the scriptures are not themselves the Word of God -- but rather, the scriptures are a map of our own mind -- i.e., a blueprint of our Consciousness - that details how to find the Word of God -- in accord with the New Covenant, within you. And this is why Peter warned in the Homilies of his disciple Clement: "...therefore great care is to be taken, that when the law of God is read, it be not read according to the understanding of our own mind. For there are many sayings in the divine Scriptures which can be drawn to that sense which every one has preconceived for himself; and this ought not to be done. For you ought not to seek a foreign and extraneous sense, which you have brought from without". (see The Spiritual Disenfranchisement Of The Mind). And in the same way that present-day Christianity is a religion of innumerable teachers and almost countless sects and factions, the reality of these words are totally incomprehensible to the modern Church. Yet, these words are not only representative of the very core foundation of the Gospel teachings, but they are representative of the original objectives of the New Covenant. The Purpose Of The Scriptures: In their original condition the Gospels contained important spiritual teachings and concepts that developed the inward Intuitive spheres of mind -- enabling the seeker to begin to balance outward looking Linear spheres of mind -- in preparation for the seeker/disciple to employ the process of Anamnesis (The Innate Knowledge Of The Truth Of All Truths: http://AnInconvenientTruth.org#Innate ), to begin to connect with the True Prophet at the Core and Essence of their Mind and Being -- and it is this inner connection that is the objective of the New Covenant Gospels. By developing the latent Intuitive areas of mind, this prepares the seeker/believer to receive the Divine Manna of the Kingdom ( The Foundation of the New Covenant http://BrotherOfJesus.org#NewCovenant ). Therefore, the Gospels were not themselves the Word of God or the Sacred Knowledge portrayed as the Divine Manna. No one could read the Gospels and perceive the Divine Manna. Because the Gospels were a text-book on the transformational changes that the seeker/disciple had to bring about in their own lives to begin to receive the Divine Manna that can only be imparted to a seeker in accord with their condition and ability to receive the Spiritual Nourishment (Knowledge) that can only be received directly from God. But because modern man has permitted himself to become alienated from his True-Self, and Spiritually Disenfranchised by virtue of the rote programming of the Linear spheres of mind, the suppression of the Intuitive spheres of mind (see The Mental Cause Of Gender Violence http://TreeOfLife.Nazirene.org#GenderViolence ), and the fact that the Churches have embraced the error of the Jews in throwing away the Key of Knowledge when reading and interpreting the scriptures, the whole of our thinking has been rendered mentally flat-lined. No amount of outward linear derived knowledge -- no amount of traditional education -- no amount of book-knowledge -- no amount of teachings or instruction -- can either develop the Intuitive spheres of mind, or provide access to the Higher Areas of Mind that exist in the person's own Higher Soul-Mind. In fact, it is this traditional liner instruction that inhibits most people from evolving their mindbeyond organic human levels of comprehension. And it is this development of the seekers mind that is the sole purpose of the scriptures -- which utilized allegorical symbols that act as catalysts that connect the person we are in this world with our inner Self -- utilizing a quasi-historical facade that is in most instances factually and historically inaccurate -- in order to develop the Intuitive and utilize the process of Anamnesis ( http://AnInconvenientTruth.org#Innate ) to slowly bring about the deepening and expansion of mind that enables the seeker to learn directly from the Indwelling Logos/Son of God portrayed as the True Prophet. Which means that when critics portray the scriptures as being poorly written -- contradicting other Gospels -- that they contain countless inconsistencies and discordances -- that they plagiarized other religions -- and that they totally lack continuity with the Old Testament -- these critics fail to understand the higher purpose and objective of the Sacred Writings. Why? Because the countless inconsistencies, discordances and contradictions were intentionally inserted into the written text to develop the Intuitive spheres of mind that are suppressed by the Linear. The embedded higher meaning can only be understood by the Intuitive spheres of mind that remain atrophied by the over-development of the Linear outward-looking spheres of mind. And in their linear-minded critique, these who only see the inconsistencies, discordances and contradictions -- without understanding why they were intentionally inserted into the text of the written word -- sentence themselves to a life of being mentally inhibited and flat-lined, and spiritually disenfranchised. When rightly understood with respect to the purpose and objective of the scriptures, the inconsistencies and discordances, along with the re-engineered myths and folklore -- were not only inserted into the written text so that they would make absolutely no sense to the linear-minded reader -- but this obstacle to a linear interpretation is necessary in order to force the linear to begin to communicate and learn from the intuitive-insights and interpretations, in order to evolve the mind to understand from a higher enlightened plane of comprehension. Once a person has become mentally locked into a belief, regardless of the facts presented or the intellectual arguments to support the facts are made, it is extremely difficult to convey the facts to them in a rational and intelligent manner that they will accept. In most instances, they will attack the messenger instead of examining the facts. And if these people are members of a group -- either church or philosophical/cultural school of thinking -- it is virtually impossible to open their minds to embrace the facts. Therefore, unless a Fact or a Truth is made appropriate to the thinking of the people it is intended to reach, then its propagation will be useless. The Spiritual Castration Of The Gospels: Spiritually immature people always attempt to interpret the scriptures outwardly -- i.e., literally and historically -- thereby throwing away the Key of Knowledge ( http://KeyOfKnowledge.org ). An Important Truth is contained in the Epistle of Peter to James where it is stated: "Hear me, brethren and fellow-servants. If we should give the books to all indiscriminately, and they should be corrupted by any daring men, or be perverted by interpretations, as you have heard that some have already done, it will remain even for those who really seek the truth, always to wander in error. Wherefore it is better that they should be with us, and that we should communicate them with all the fore-mentioned care to those who wish to live piously, and to save others." Those Gentiles outside of the original Ebionite/Nazirene core of disciples and followers of Jesus, were quick to corrupt all the copies of the scriptures that were given to them. And this fact is confirmed to us by Dr. F. H. Scrivener where he writes that: "In the second century we have seen too many instances of attempts to tamper with the text of Scripture, some merely injudicious, others positively dishonest". Scrivener states that "it is no less true to fact than paradoxical in sound, that the worst corruptions to which the New Testament has ever been subjected, originated within 100 years after it was composed: and that Irenaeus and the African Fathers, and the whole Western, with a portion of the Syrian Church" used inferior manuscripts (F.H. Scrivener, Introduction to the Criticism of the New Testament). Dean Burgon quotes Gaius (AD175-200) who speaks of the source of corruptions that survive in the early papyri: "The Divine Scriptures these heretics have audaciously corrupted. Laying violent hands upon them, under pretense of correcting them" (Burgon, The Revision Revised, p. 323). Eusebius (Eccleastical History), citing the second century Church Father Clement of Alexandria: "The worst corruptions to which the New Testament has ever been subjected originated within one hundred years after it was composed." In the words of Colwell (What is the Best New Testament Text?, p.119) "The first two centuries witnessed the creations of the large number of variations known to scholars today. In the manuscripts of the New Testament most variations, I believe, were made deliberately." G.D. Kilpatrick (Atticism and the Text of the Greek New Testament, pp 125-131): "Deliberate changes in all text types appear to antedate A.D. 200..as distinct from errors... all categories of deliberate alteration... are present in both groups. Tatian is the last author of make deliberate changes. The vast majority of deliberate changes were older then A.D. 200. They came into being in the period A.D. 50-200." The truth and the facts of the matter is very clearly expressed in the words of Prof. Bart D. Ehrman in his book, The Orthodox Corruption of Scripture, where he warns us that: "...theological disputes, specifically disputes over Christology, prompted Christian scribes to alter the words of scripture in order to make them more serviceable for the polemical task. Scribes modified their manuscripts to make them more patently ‘orthodox’ and less susceptible to ‘abuse’ by the opponents of orthodoxy" -- which orthodoxy was to bring the text of the Bible into conformity with the doctrines and tenets of the Church of the Roman Emperor Constantine. With regard to the condition of the Bible we presently use: In his book The Text of the New Testament, Dr. Vincent Taylor writes that "The manuscripts of the New Testament preserve traces of two kinds of dogmatic alterations: those which involve the elimination or alteration of what was regarded as doctrinally unacceptable or inconvenient, and those which introduce into the Scriptures proof for a favorite theological tenet or practice". To put Dr. Taylor's words in perspective: What Dr. Taylor is stating is that, whatever doctrine Jesus taught which the Church of the Roman Empire did not agree with, there is overwhelming evidence that the church corrupters removed what was objectionable from their perspective. It can be easily understood why the Ebionite/Nazirene disciples of Jesus not only did not give the Greek converts who edited and corrupted the text of their scriptures, but they also withheld the most spiritual and important scriptures to be preserved only in their care. Thus, Peter writes to James: "Knowing, my brother, your eager desire after that which is for the advantage of us all, I beg and beseech you not to communicate to any one of the Gentiles the books of my preachings which I sent to you, nor to any one of our own tribe before trial; but if any one has been proved and found worthy, then to commit them to him, after the manner in which Moses delivered his books to the Seventy who succeeded to his chair. Wherefore also the fruit of that caution appears even till now. For his countrymen keep the same rule of monarchy and polity everywhere, being unable in any way to think otherwise, or to be led out of the way of the much-indicating Scriptures. For, according to the rule delivered to them, they endeavor to correct the discordances of the Scriptures, if any one, haply not knowing the traditions, is confounded at the various utterances of the prophets. Wherefore they charge no one to teach, unless he has first learned how the Scriptures must be used. And thus they have amongst them one God, one law, one hope" (see Epistle Of Peter And James). When Peter wrote to Jacob/James that "...they endeavor to correct the discordances of the Scriptures, if any one, haply not knowing the traditions, is confounded at the various utterances of the prophets" -- the discordances and inconsistencies, as well as the historical untruths, all of which were intentionally inserted into the text for an ultra-important reason. And with the removal of these discordances by the scribes of the Gentile Church, the scriptures suffered a loss of their effectiveness in relation to their true purpose and objective. But just as important is the statement that "...Wherefore they charge no one to teach, unless he has first learned how the Scriptures must be used". And herein lies the problem: The modern Christian is absolutely clueless as to "...how the Scriptures must be used"!!! And thus, because of this state of abject ignorance in conjunction with the editing and removal of what is portrayed as the discordances and many of the most important original Gospel teachings, the Church has rendered the study of the Gospels virtually worthless. In the words of the Church Father Origen: “Scripture contains an unhistorical element in-woven with the history, in order that the worthlessness of the latter may drive us to seek the spiritual meaning” (Origen quoted under Origen Adamntius; The Encyclopedia of Religion and Ethics). The authors of the scriptures did not compose historical accounts -- but because of the inability of the faith-based believers to comprehend their own higher Soul and Spiritual reality, the faith-based Christians possess no understanding that authors used a quasi-historical cloak to allegorically present important teachings and concepts that could not be comprehended by the human organic "natural" level of mind. And what Peter portrays as the "discordances" of the scriptures -- what Origen correctly portrays as the "...unhistorical element in-woven with the history" -- not only inhibits the person from reading the scriptures literally/historically -- but in most instances presents an ultra-important spiritual truth. But when the faith-based Gentile Church attempted to correct these discordances and unhistorical events, they ignorantly inhibited the process of mental expansion and spiritual development which was and is the primary purpose the scriptures were written. And with the editing and corrupting of the scriptures, this caused them to remain permanently bound to what the Church Father Origen portrayed as the fate of the immature Christian when he stated that the elementary "testimony" of Christ was “...preached in the Churches …for the simpleminded and for the ears of the common crowd who are led on to live better lives by their belief” (see Origen, Contra Celsum). Leading a better life was the beginning of the Gospel teachings -- evolving and becoming spiritually transformed was the primary objective. To the people who Paul had taught the Gospel message, Paul confessed that "And I, brethren, could not speak to you as to spiritual men, but as to men of flesh, as to babes in Christ" (1 Cor 3:1) -- yet, he also stated that "However, we speak wisdom among them that are perfect: yet not the wisdom of this world, nor of the princes of this world, that come to nothing" (1 Cor 2:6). In their original condition and format, the scriptures were designed to evolve those who Paul portrays as being of an organic "natural" human consciousness (see Animal-Soul), into the "spiritually mature/perfect" transformed consciousness that enables the seeker/disciple to receive the Divine Manna directly form the Indwelling Logos/Son of God. And with respect to the true purpose and objective of the scriptures, the statement of Peter's that is not at all understood today -- i.e, "...Wherefore they charge no one to teach, unless he has first learned how the Scriptures must be used" -- is parallel to a statement of Peter in the Homilies of his disciple Clement where Peter is quoted as explaining with respect to a discussion on the nature of the scriptures when Simon Magus stated to Peter: “Then said Simon: 'You are manifestly avoiding the hearing of the charge from the Scriptures against your God.'" To which Peter then replied: "'You yourself appear to me to be doing this; for he who avoids the order of inquiry, does not wish a true investigation to be made. Hence I, who proceed in an orderly manner, and wish that the writer should first be considered, am manifestly desirous to walk in a straight path’”. What, then, the intelligent seeker must ask, is the order of inquiry? In these words are noted the most profound error of both Bible believers as well as the critics today who only perceive what is literally written in the narrative of the written word. Believers see and read the scriptures in the manner predicated by their predefined doctrines of belief, while ignoring the very warning of the scriptures that it is their own perception of the Word that is in error. Simon Magus wants to engage Peter and use the scriptures to prove that the world was created by a lesser god. Peter states that By Design, anyone can prove almost any doctrine by using the scriptures -- and therefore, before the scriptures can be understood, the “writer should first be considered” -- which means that unless you read the scriptures in accord with their original intended purpose, you render the scriptures worthless. Quoting one of the opening statements above in the heading of this article: "...the scriptures are exactly what the original authors intended them to be". And if the person fails to first understand "...how the Scriptures must be used", whatever interpretation they embrace will be in grave error. The Bottom Line On The Scriptures: If it is true that the original Hebrew Gospels and more pure Greek copies are long gone, then what good is the above? Because of the importance of the Original Gospels, there presently exist a number of source where more pure copies are available as explored at Can I Get An Original Pure Copy Of The Scriptures http://OriginalGospel.Ebionite.com#PureCopyOfScriptures . These more pure spiritual copies of the Gospels were set aside and preserved for when there would come a time when the body of believers would understand the value of the scriptures, and desire to properly embrace them. The Indwelling Logos/Son of God/True Prophet desires you to enter in through the "narrow strait gate", and gain entrance into the Spiritual Bridal Chamber, where you can fulfill the purpose of the Gospels and be United and At-One with the Indwelling Logos (see At-Onement With The Logos/Son Of God http://BrotherOfJesus.org#AtOnement ) -- thereby enabling you to be nourished by the Divine Manna (see The Divine Manna - The Gospels - The foundation of the New Covenant http://BrotherOfJesus.org#NewCovenant ). And these Libraries of scriptures were set aside for when the people truly desired to prevail over the ignorance of this world. In addition to the remaining five (5) libraries of scriptures that have yet to be rediscovered, I was shown that if the congregation of believers begin to demand the release of these scriptures from the Vatican archives, more pure copies will be delivered to the people. In the meantime, if a husband and wife were to embrace the concepts set forth in the article at http://TreeOfLife.Nazirene.org , they would by virtue of the Natural Laws of Creation begin to open the inner "narrow strait gate" that provides entrance into the Inner Edenic Kingdom. Even during the darkest times on earth, the sincere seeker has never been abandoned in this shadow-world. Who Is Allan Cronshaw? The Soul of Allan Cronshaw has lived countless lives in every epoch of time since the Alpha of Creation. In the same way that the Soul who lived as the historical man Jesus fulfilled the Royal Law within himself -- thereby enabling him to become At-One with the Logos (Mind of God - aka Son of God/True Prophet) -- the disciples of Jesus were part of a group of serious seekers of Truth and Light that to varying degrees fulfilled the Royal Law within their own mind and being (see http://OriginalGospel.Ebionite.com#Ebionite ). In the article The Original Gospel ( http://OriginalGospel.Ebionite.com ), I prove with supporting facts that the Gospel emerged out of the foundation of the Essenes. I know this for a provable fact, because in that life my Soul lived as Jacob who they call James, the Brother of Yeshua who they call Jesus, and in that life I authored the Original Core Gospel that was written in Biblical Hebrew Characters (see The Original Spiritual Language Of The Gospels http://OriginalGospel.Ebionite.com#OriginalLanguage ). Why were the Original Gospels composed in Biblical Hebrew Characters? Because this was and is a Living Language that can invoke a true and genuine spiritual intercession in the life of the sincere seeker -- which cannot be brought about in either the Masoretic Text used by the Jews, or the Greek, Latin or Aramaic languages used by the Gentiles. When St. Jerome made reference to the original version of the Gospel written in Hebrew Characters, he noted that is was intended to "...be possessed by the men most religious", meaning those who had emerged out of the Essenes, because it was too "secret" to be given into the hands of the Gentile believers. In that life, myself, my brother Jesus, as well as John the Baptist and other core disciples of the New Covenant movement, all emerged out of the Essenes (healers; spiritual physicians). And as spiritual healers and physicians, we assisted seekers to overcome their inherent human blindness -- thereby restoring the memory of the lost prodigal sons and daughters (see Spiritual Amnesia http://AnInconvenientTruth.org#SpiritualAmnesia ). And we did this by assisting sincere seekers in their quest to achieve Wholeness -- i.e., "They that are whole have no need of the physician, but they that are sick: I came not to call the righteous, but sinners to repentance" (Mark 2:17). The Jews were portrayed as blind guides -- i.e., "Let them alone: they are blind leaders of the blind. And if the blind lead the blind, both shall fall into the ditch" (Matt 15:14) -- and they were blind because they lacked the necessary Wholeness to see beyond the shadow-images of the Outer Darkness of the organic human condition that plagues all of mankind who have yet to evolve beyond the developmental stages of mental and spiritual immaturity. And like the Pharisees who Jesus condemned as blind guides -- i.e., "Woe to you, teachers of the law and Pharisees, you hypocrites! You shut the kingdom of heaven in men's faces. You yourselves do not enter, nor will you let those enter who are trying to" (Matt 23:13 NIV), the modern Church has embrace the doctrines of spiritually disenfranchised carnal men. But in man's quest for truth, the most important question is to understand why Jesus condemned the leaders of the Jews as blind-guide hypocrites? Because the objective of the scriptures was to cure the condition of inherent human blindness, and enable seekers to enter the Inner Kingdom (see The Fatal Error Of The Church) -- and in their failure to use the scriptures as the Key of Knowledge ( http://KeyOfKnowledge.org ) that unlocks the Inner Narrow Gate that provides entrance into the Kingdom, both the Jews and the modern Christian clergy are blind guides: "They are blind guides leading the blind, and if one blind person guides another, they will both fall into a ditch" (Matt 15:14). That those who fail to become Whole, and first enter the Inner Kingdom themselves -- and thus, remain blind guides, is why the Gospel account of Jesus states: "How can you say to your brother, ‘Let me take the speck out of your eye,’ while there is still a beam in your own eye? You hypocrite! First take the beam out of your own eye, and then you will see clearly to remove the speck from your brother’s eye" (Matt 7:4-5). The Gospels portray three causes of blindness (see Soul-Evolution - Reincarnation And Soul-Development http://OriginalGospel.Ebionite.com#SoulEvolution ) -- i.e., (1) born blind because of the sins committed in that Soul's previous lives -- and having been case into The Prison, they were warned that “Thou shalt by no means come out from there, till thou hast paid the uttermost farthing” (Mat 5:26); (2) born blind because of the sin of that Soul's parents; and (3) being born blind because of the limitations of human consciousness which is the reason why the biblical authors all attest to the fact that the faith-based baptized and committed (Christian) believers were incapable of comprehending the true spiritual meaning of the Gospel teachings. It is impossible for the modern Christian to understand how a soul can be cast into the prison until which time they have "...paid [back] the uttermost farthing”, because they believe in accord with the doctrines of Roman Emperors. In the article I prove that the Essenes, the Pharisees, and the original disciples of Jesus, all believed in the pre-existent soul that evolves to Completion and Perfection over the course of many lifetimes. And when Jesus stated at Matthew 5:48 that "You must therefore be perfect, as your Heavenly Father is perfect", the Soul of the man Jesus himself had achieved Wholeness and Perfection over the course of many lifetimes. Jesus said that you must be born again to enter the Kingdom -- and in the same way that a fetus who has yet to immerge out of its mother's womb is blind to the higher reality of life in this world, this world is the secondary womb of Mother-God (see Mental Womb http://OuterDarkness.Nazirene.org#MentalWomb ) -- and like the fetus prior to physical birth, all of mankind is born blind to the higher reality of their own Soul. And the primary purpose and objective of the Original Gospels, was to bring about the necessary Wholeness that as the prodigal sons and daughters of your Heavenly Father, cures both your inherent human blindness and restores your Soul-Memory caused by the human condition of Spiritual Amnesia ( http://AnInconvenientTruth.org#SpiritualAmnesia ). In the article the Original Gospel, I prove that it was never intended for the Gospels to be read literally -- as if they are an historical account. I demonstrate that the author's of the Gospels intentionally inserted events that did not happen and could not have happened. I demonstrate that there is no linear or historical connection to the Jews and the Old Testament, which scriptures were authored by the Essenes and Spiritual Essenic people as an outreach program intended to assist the nomadic tribe of animal-sacrificing and heathen Jews. And in the same way that scriptures such as the Torah was composed in order to accommodate the nomadic tribe of Jews, the copies of the Gospels that were written in Greek and other languages, were basically less spiritual copies that were given to the Gentiles as a similar outreach program by the Ebionite Nazirenes. As the prodigal sons and daughters, your Heavenly Father desires your return to the Edenic Kingdom that you abandoned to travel into this, the Far Country. The Original Gospels were written in order to enable you to travail in TheWay, and return to the Kingdom while you are still physically alive in the body. In the article (Original Gospel) I reveal to the reader how to acquire an original copy of the Gospels -- how it must be used as the Key of Knowledge that has the power to transform the mind and enable you to be Anointed by the Holy Spirit -- and why the Church has been inhibiting you from possessing the Authentic Gospels.